North 42 Degrees Estate Winery 2016 Pinot Noir with Bistro 42! Checking out the new menu at Bistro 42 with North 42 Degrees Estate Winery Pinot Noir! 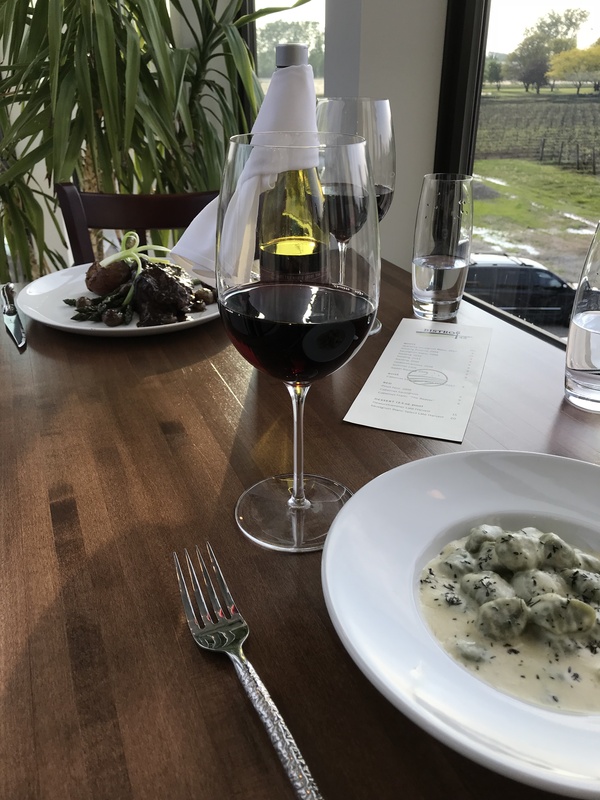 We enjoyed Beef Tenderloin and Spinach Gnocchi. This polished Pinot Noir is rich and dense with an elegant blend of fruit and nicely structured tannins. Cherry and ripe plum weave together with vanilla, tobacco, and baking spice for a lasting finish.